The tradition of stately grey, tan and brown returns to the outdoorsman! 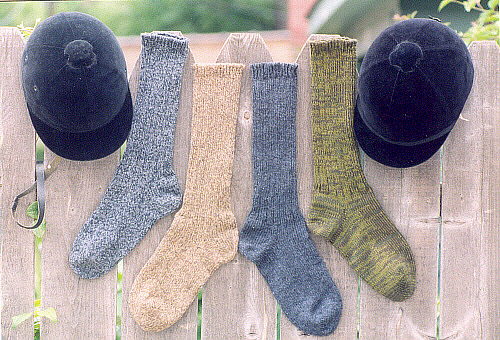 100% new wool comprises these robust socks. A warm boot sock for nature's harshest days!